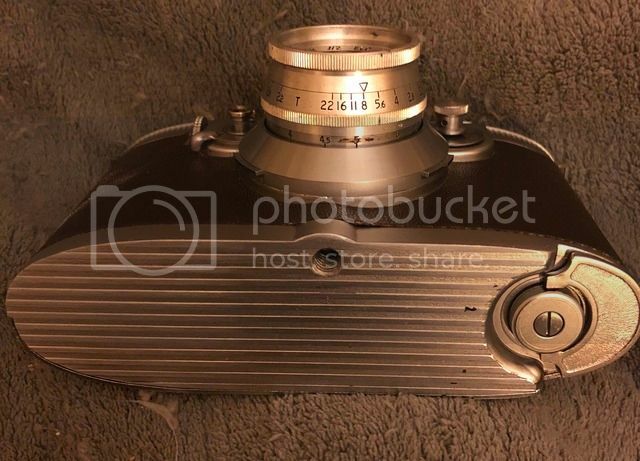 Can we talk Bell and Howell Foton? As a buyer waiting for delivery of a Foton, my thirst for information is very strong. 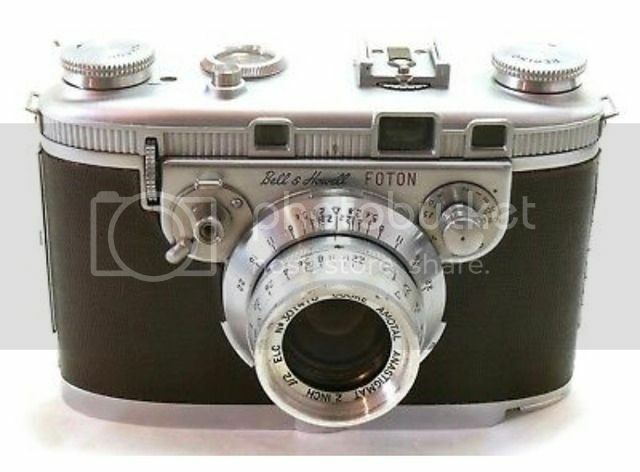 Having worn out Google and image searches, I’ve had a few theories on this esoteric camera, and would like to hear from other owner/users of the Foton. The head bartender here is a fan, Stephen has info here if you haven’t seen it. I use a TTH Amotal in LTM, a good lens. In not a Foton user but they are fascinating. I am, however, a Bell and Howell Filmo 70 series user and I will add my voice to the chorus of Filmo users out there who say it is the most reliable motion picture camera ever made. That reliability trickled into the Foton, obviously. Have fun with it and post some photos of the rare gem as well as what you make with it. Yes Thanks for all That, especially the rewind advice. Well I have the Leicas already and the rarity of the Foton, together with that Splendid lens, really spells Bargain to me. I’ve been recording lens serial numbers and they seem to run from 297000-301999. The modified Ltm and Contax numbers and the foton lens numbers are spaced random through this range. I’m wondering IF Bell and Howell cherry picked the lens stock for lenses that exactly matched in “true” focus to the camera body which was the focusing mechanism. Even Leica Elmar lenses varied and required shimming. Perhaps production was limited by suitable lenses?? Just a thought. 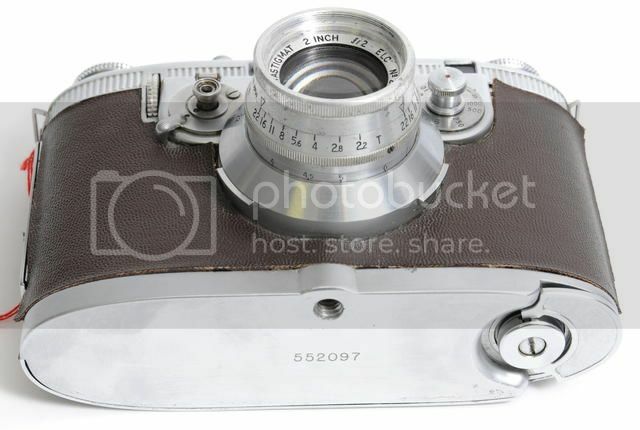 The rangefinder is very similar to the Leica III with a fair separation from the viewfinder. It's a splendid piece of work, if only they had thought to make it an SLR. Kilfitt made a reflex housing for the Foton. Good luck finding that. So.....about how many are still out there? Dozens? Hundreds? I did read somewhere only about 500 were actually sold. Of course, Bell and Howell today has no records of their legacy products. You came to the right forum. I have 2, as might be expected of someone who uses a Foton quote in their signature (just like w/the Kodak Ektra, when you're fortunate enough to get a rare camera, look for a spare). In addition to the 2" Amotals, I have the 4" Panchrotal & the 8.5" Telekinic (which I can't get to mount properly). The Panchrotal is a great lens like the Amotal. Sometimes I wish someone made a Foton-to-Sony adapter (also an Ektra-to-Sony adapter). You can see why Taylor, Taylor & Hobson became famous for their cinema lenses. Someday maybe I'll get the mount on the Telekinic fixed & see what it can do! The accessory viewfinder looks super-cool & is solidly made like everything else in the system, but is just as squinty (possibly even more so) as the VF on the Foton body. The manual can be found on eBay (at least they were when I was looking years ago) & the operation of the camera is pretty straightforward (after all, according to the ads, Joan Crawford was a user). My pro tip: after loading the film & closing the back, leave the rewind knob in the extended (rewind) position so that you can see that it's turning in order to confirm that the film is loading onto the takeup spool properly for the 1st 3 shots (like looking at the dots on the takeup knob on an M3 or Barnack Leica). Five a Second. Chicago's Bell & Howell Co. (cameras) announced that it would put on sale this fall the world's most expensive still camera. Its "Foton" will take five 35-mm. pictures a second, sell for $700. Bell & Howell, which has found that "families of both low and high incomes now spend over $550" for movie equipment, hopes to sell 20,000 Fotons a year. Not sure if the normal lenses had to be adjusted for each body as 1 of the advantages of the Contax-type mount was that the lens helical + RF mechanism interface, which can be tricky, was in the body itself. As may be expected, the highest serial number I have for the 2" Amotal is in the 330*** range for 1 that was converted to LTM, with the 4" Panchrotal being 364*** & the 8.5" Telekinic reaching 382***.
. . . There are two varieties of this camera, one with a smooth baseplate and one with a fluted or embossed baseplate. . . . This I didn't know. Never seen 1 w/a smooth baseplate. And the thing appears to in mid ocean limbo..... ugh. The wait!!! Ugh! Another day waiting. USPS tracking is giving no indication it’s in the USA only that it left the UK on the 9th. Does it take 5 days to cross the Atlantic? I know I know ~~~~Good Things come to those who wait. Ugh! Another day waiting. USPS tracking is giving no indication it&rsquo;s in the USA only that it left the UK on the 9th. Does it take 5 days to cross the Atlantic? I know I know ~~~~Good Things come to those who wait. Check the Royal Post tracking site. Often the Country of Origin postal site will give more details than that of the receiving country. .....I think the bodies were made in Dr. Frankenstein’s laboratory. ;-/ Borh are hideous monstrosities.